I’ve always been kind of uninterested in taking screenshots, even though they can be really fun. I think it stems back to my older computer(s) that would freeze up whenever I tried to take them. The game I’ve played the longest is probably World of Warcraft, and while I don’t have many screenshots, compared to others, I do have quite a few. I was going through my WoW folder and discovered some screenshots dating back to The Burning Crusade, although a majority are from after that point. Figured I’d put them on my site — I didn’t catalog as much of my exploring as I wish I had, but you can see some of it. 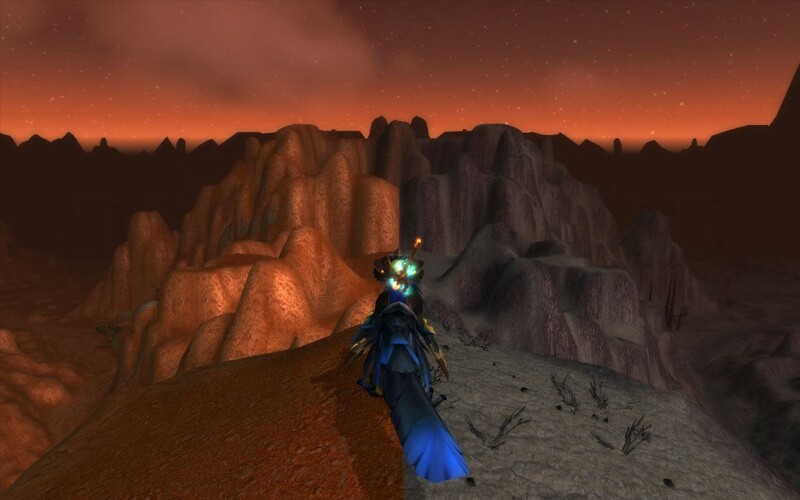 My favorite was probably pre-Cataclysm sourther Silithus which had some really funky terrain, but I’ve also explored stuff like Terrace of the Endless Spring or Stratholme. Looking forward to the expansion, and even if I can’t fly I’ll still find a way to explore! This entry was posted in Gaming, World of Warcraft by Nick. Bookmark the permalink.